Hello! 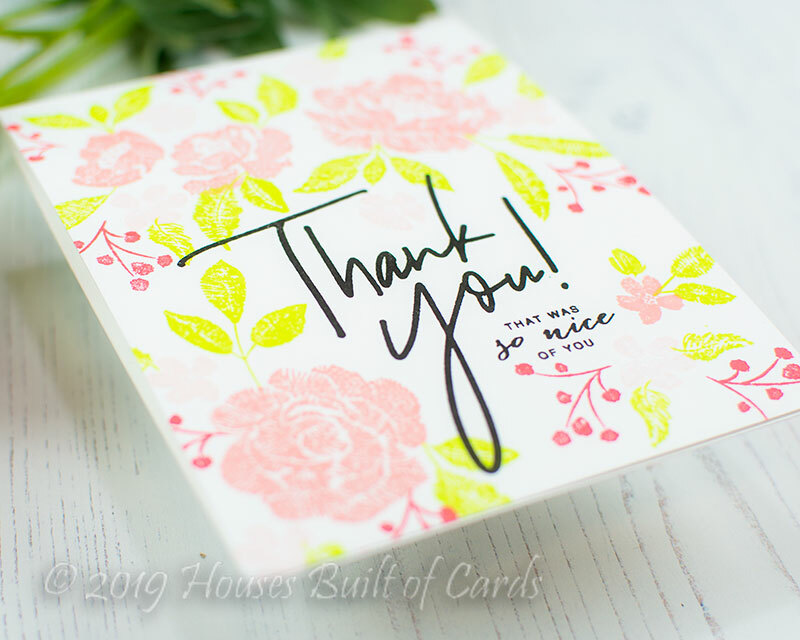 I'm stopping by today to share details on another card using Pinkfresh Studio's BRAND NEW January Release! 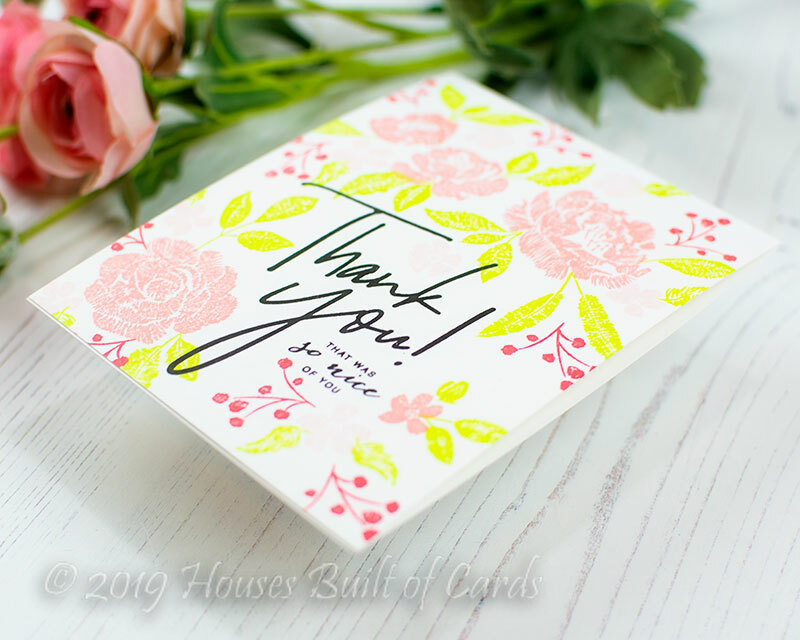 This is somewhat similar to a card I shared last week - but I used more of the florals and spread them out over the entire card front - and added a larger sentiment! I used the same colors of Altenew ink as the previous card - adding one deeper shade for contrast. 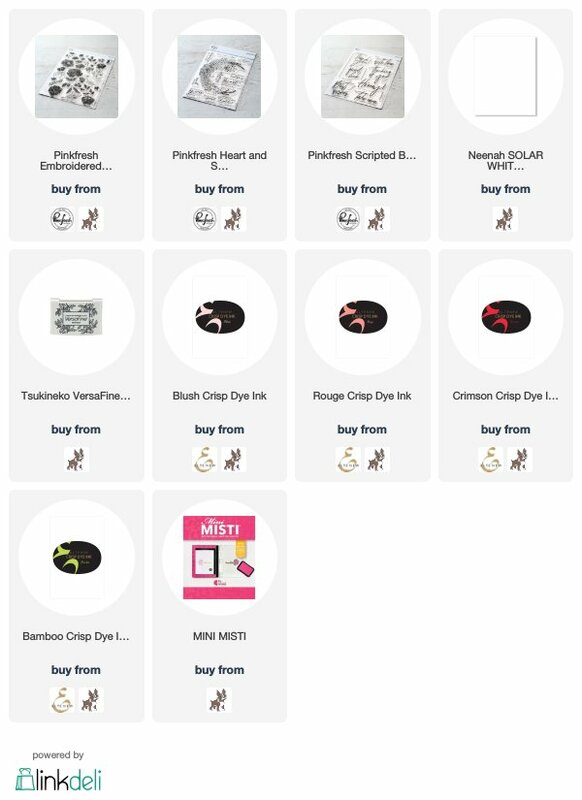 I actually stamped my large sentiment from Scripted Bold Sentiments 1 first, and added the tiny sentiment underneath from Heart and Soul stamp set. Then I built the floral images around that using Embroidered Blossoms stamp set! 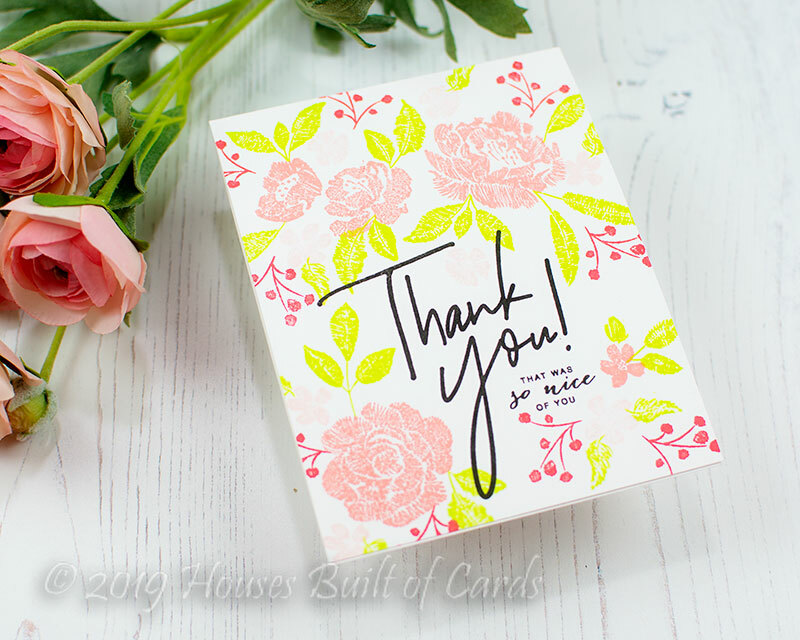 This is a truly one layer card too, so perfect for mailing! 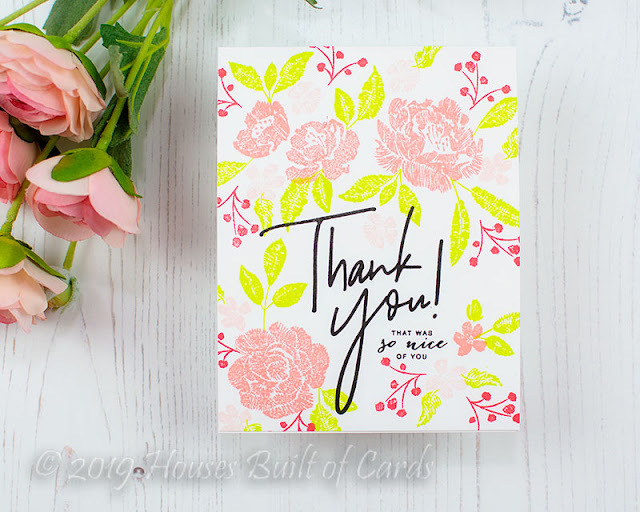 Love your floral card. Love the cheerful colors. Very pretty. Glad I stopped by. Happy Day to You!